Last year we kicked off what we hope to consolidate this year, as our guerrilla tradition, our New Year’s Revolutions. Last year, my revolution(s) of choice revolved around ‘femme fever’ and the resurgence & momentum of Tarana Burke’s #metoo campaign. A hashtag that became a movement and in addition to widespread women’s marches we saw some radical policy change, such as Iceland making the gender pay gap illegal and municiaplists such as Barcelona en Comu feminising politics and giving more authority, autonomy and legitimacy to women across industry, politics and social strata. This movement for community healing is still going strong, becoming more intersectional in its makeup and systemic in its narrative, so I’m still excited to see how it progresses, but it seems to be well on its way. This campaign kicked off in late October 2018 by Roger Hallam, Gail Bradbrook, Simon Bramwell and other activists from the campaigning group Rising Up! Then in November, numerous, colourful acts of civil disobedience took place in London and the UK. The movement by the fact that a significant number of activists have pledged to be arrested and are prepared to go to prison, echoing the mass arrest tactics of the Committee of 100 in 1961. 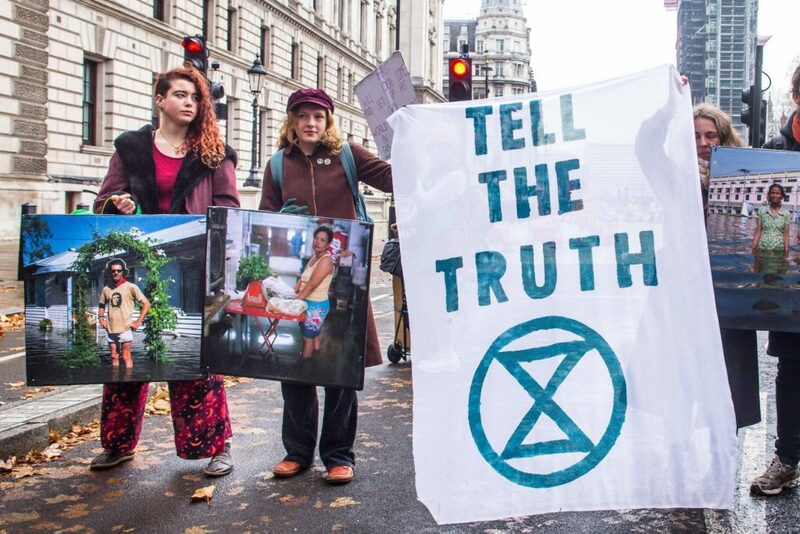 The Extinction rebellion crew are massive social movement geeks and they’ve very well-versed in civil rights strategies and resistance tactics (for the activism nerds, you can dig into the complete ER Campaign Overview). They are in my opposite-of-humble opinion the most exciting and important campaign currently effervescing in Europe, them and ‘Gilets Jaunes‘. Extinction Rebellion is still in the honeymoon phases of the movement lifecycle, and they have some thrilling swarming events planned for this spring. They’re decentralized and non-hierarchical, radically inclusive and intersectional yet also very practically oriented and keen to be focused on action-first, so as not to go the way of Deep Green Resistance (in the USA) and similar bog-down patterns that many left wing mobilisations have faced in the past. Their declaration of rebellion is elegant and unalienating, they have wide support of academics and thinkers yet the lifeblood of the movement is the average Jane. But perhaps most importantly, they’re effective storytellers and communicators. They are documenting their work well. They are publishing it consistently. This lets others feel included in real-time and the sharing practices allow others to take it upon themselves to run their own actions and operate in a united, yet autonomous fashion. Of course, we are proud funders and supporters of Extinction Rebellion and I for one cannot wait to see where we’ll all go. When I took on the position of interim Managing Director at the Foundation this past autumn, I started to dig deeper around the subject of activism and systemic change and two conflicting thoughts have been dwarfing all other in my brain. The first is daunting. If I’m looking at issues like the unraveling climate crisis, our screwed up financial system, the rise of neofascist, right-wing forces, hateful, violent xenophobia, war and conflict still persisting in numerous countries, the ‘plastification’ of our oceans… My first urge is to lay down and cry or jump off the next high-rise (that is most likely built with highly unsustainable, polluting materials). So, so many burning crises, that one is constantly overwhelmed by the sheer endlessness of them. When you start tackling one issue at least five others pop up, that detract you from focusing on the one you set to work on at first. The immense complexity of the world without easy fixes makes you (almost) believe notions like “There Is No Alternative”. But the beauty of systems thinking is: since all the problems are interwoven, the answers to them can – and have to be – be interconnected as well! So if you change one part of the system, that usually also affects other aspects of it. That obviously doesn’t mean that changing the mess that we are in is going to be super easy all of a sudden. It unfortunately wont be as simple as just pushing the first domino and everything falling into place. But connecting struggles and seeing their root cause similarities is doable and something that intersectional approaches to activism have been framing for us elegantly. And there are many other concepts that consider the complexity of the world and integrate this complexity into the solutions. Like radical municipalism, the solidarity economy, degrowth, food sovereignty to name but a few. So maybe I will not just lay down and cry but look and act in the direction of what can be done this year. 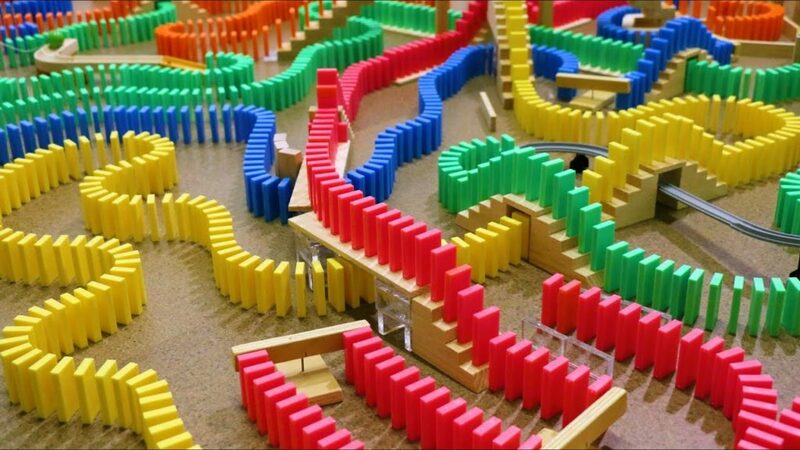 Let’s play some systemic dominoes, people! I hope that in 2019 we will rediscover what real power citizens hold over their governments. That we will rise up and demand accountability for what is being done to our planet and our democracies. The time to act and to panic is now. Leading climate scientists say we have about 12 more years to do something meaningful if we are prevent climate change. Those are quite some serious findings. 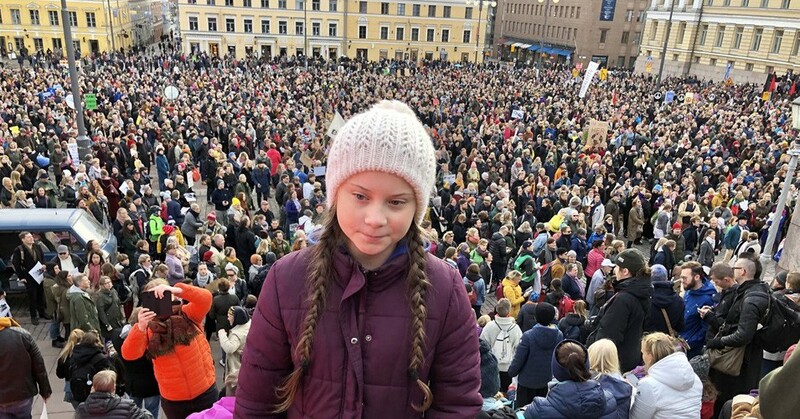 If we take this warning to heart we have to break through our established patterns of behavior and maybe actually… panic, as Greta Thunberg famously put it at Davos earlier this year. But confronting climate change is not a walk in the park. It does not end with putting a solar panel on your rooftop. It poses the question about who calls the shots in our societies and why. It therefore calls into question our political systems and the financial privileges of the elites. The discussion around climate change thus becomes an opportunity to ask critical questions about power imbalances inside our societies. The book “The Winner Takes All” by Anand Giridharadas was for me a watershed moment. Here was an insider who had finally written about many of the things that I encounter every day in my interaction with peers and with other Foundations. It was about time that someone had the courage to name many of the hypocrisies in the philanthropic-industrial complex. A disturbing moment reading the book was of course Bill Clinton’s statements that he believes he can have the biggest impact in the world by convincing the super-rich to give more. Reading between the lines, this means that the formerly most powerful man in the world has lost his trust in the transformative power of government and therefore also its citizens. It is people who create governments and it is people who tear them down, yet with the current set up of systemic inequality the framework is such that those in power are supported legally, fiscally and culturally to retain this power. But people, especially the youth, are starting to see the cracks and realise their power and so we see them once again flooding the streets in what will hopefully soon be in unvanquishable number.